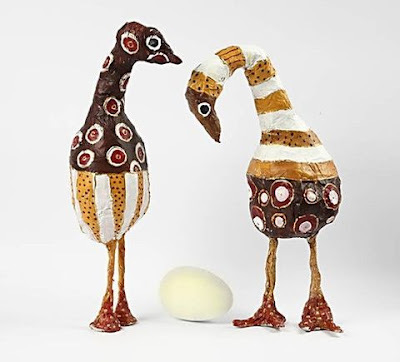 Jungle birds are shaped from newspaper and glued with VTR adhesive which children can also make. 1. 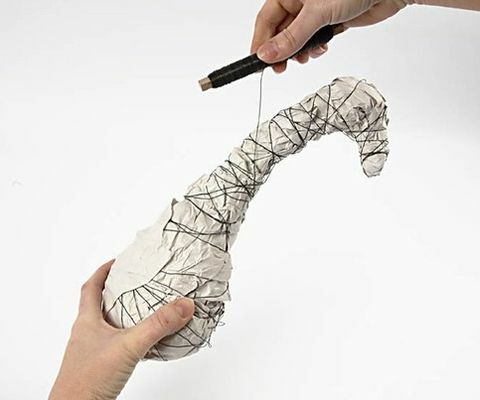 Curl the newspaper together and shape the bird roughly, apply wire and tie it tightly aroung the bird whilst applying more paper. Shape and twist until you have a proper bird shape. Balance is important. Poke a hole with a pair of scissors for legs. 2. 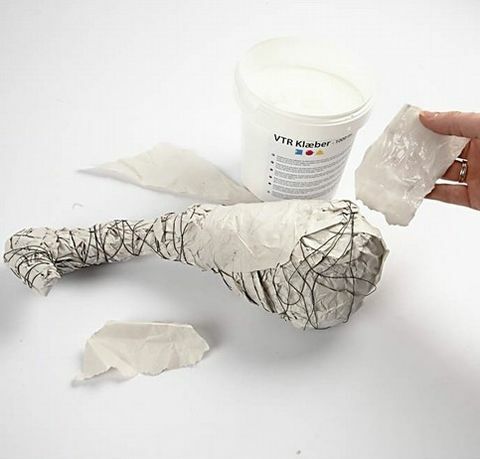 Now apply a layer of paper soaked with VTR adhesive over the bird’s body and build the bird up. Apply paper around the legs. Balance the bird and build large feet if necessary so that it balances. 3. 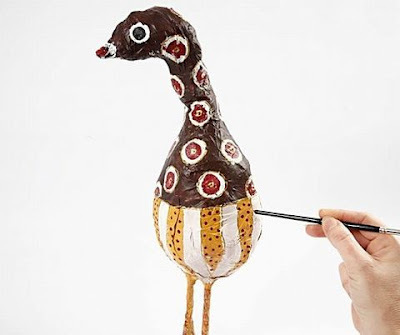 When the bird is finished and thorougly dry, paint with acrilic paint.